Best Western Boerne Inn & Suites est idéalement situé dans le centre de Boerne. Venez découvrir et profiter de notre hôtel à côté des principaux sites touristiques. Réservation au meilleur prix et offres exclusives toute l'année. 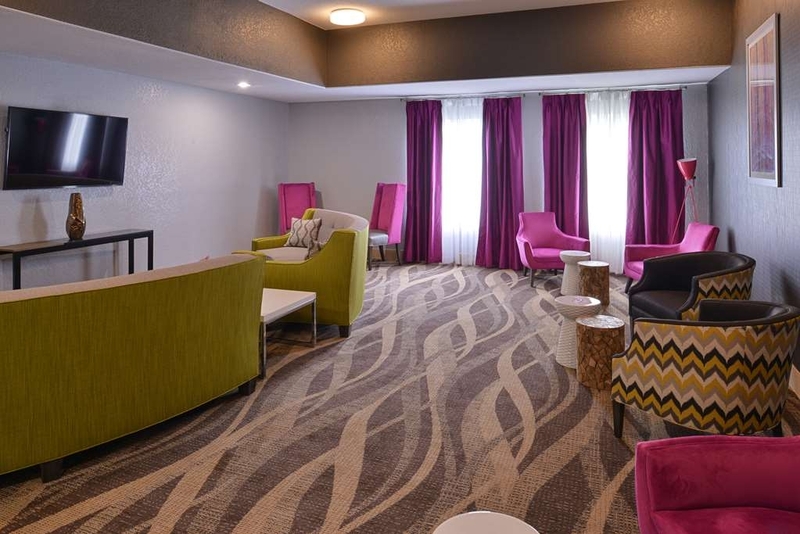 Cette immense et magnifique rénovation a été achevée en 2016, pour rejoindre l'une des plus grandes chaînes hôtelières du monde, en devenant le BEST WESTERN Boerne Inn & Suites à Boerne, au Texas. L'hôtel bénéficie d'une situation idéale au niveau de la sortie 539 de l'Interstate Highway 10, Johns Road à Boerne, au Texas. Proche des magasins d'antiquités, du centre-ville de Boerne, des restaurants locaux, à 24 kilomètres de Six Flags® Fiesta, à 25 minutes de Seaworld® et tout près des terrains de base-ball municipaux, avec un accès facile à et depuis l'Interstate Highway 10. Il est presque situé dans la périphérie de la ville de San Antonio, loin du stress de la ville. L'hôtel sert un petit déjeuner chaud, complet et gratuit qui comprend muffins, viennoiseries ou petits pains à la cannelle, pain blanc et complet, petits pains ou muffins anglais, œufs brouillés, saucisses ou bacon, œufs durs, trois sortes de céréales froides, flocons d'avoine, yaourt, lait et café. L'hôtel a trois étages avec couloir intérieur. Un ascenseur se trouve à chaque étage pour votre sécurité et votre confort. 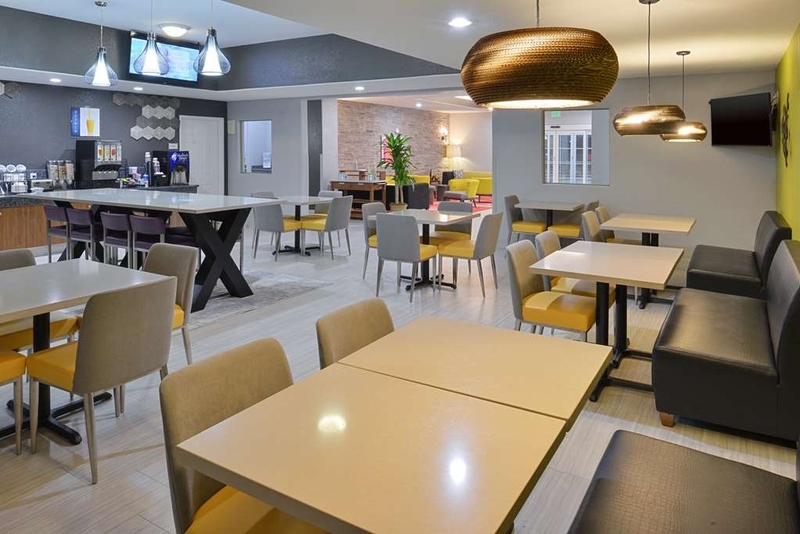 Les installations de l'hôtel incluent accès à Internet haut débit gratuit, centre d'affaires avec deux ordinateurs et imprimante, salle de fitness, grande piscine extérieure, salle d'accueil et boutique de cadeaux pour vos besoins immédiats. Chaque chambre dispose de meubles modernes avec fauteuil inclinable ou canapé-lit, Internet haut débit, télévision LED 107 cm, cafetière, sèche-cheveux, fer et planche à repasser, réfrigérateur, four à micro-ondes, radio-réveil avec une alarme, téléphone à haut-parleur et matelas Serta® confortable. We chose this hotel over another on for price. The hotel recommended for the Wedding family members was twice as much and has same amenities. We got an efficient and early check in allowed so we could get ready for a wedding in an hour after a 6 hour drive. Breakfast was prompt and good the next morning, except the later it got, the more overwhelmed the staff member was. She was unable to keep everything stocked due to number of guests in the last hour. Beds, linens and towels all comfy. My family recently spent three nights here. It is clean. The first night we arrived the lights in our room wouldn't turn on. Within minutes we were attended to and the problem was fixed. The staff is extremely nice and helpful. We will definitely stay again. It is located right off the interstate so it is easy to get to. Stopped in and booked our room on the fly. Researched prices through Expedia and hotel tonight but got a better room at same rate others offered. Diana was especially friendly and helpful. Clean and comfortable with a good breakfast. "My Nightly stay at Best Western"
We had a comfortable night. All accessories were in good working order. The breakfast was served on time and had a good hot meal. 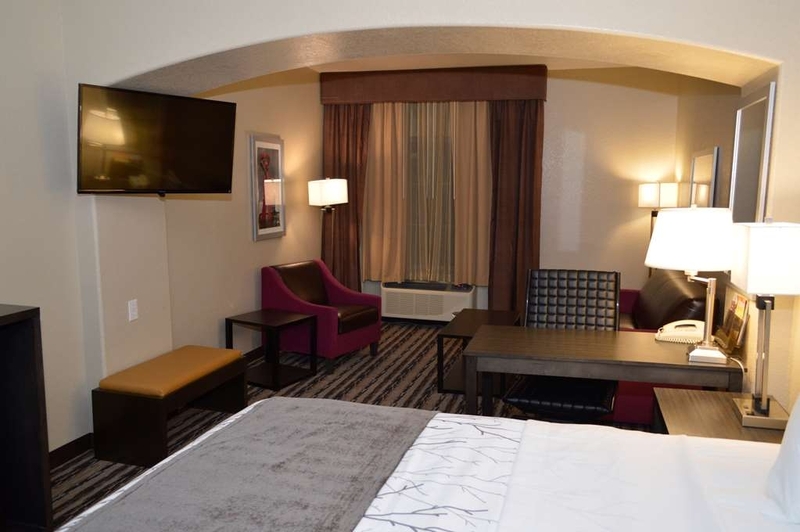 They have plenty to choose from and we expect to stay at Best Western again. Management is doing good job. "Would Choose Differently Next Time"
Very disappointed with service when tv equipment didn't work after checking in. Pricey rooms need working equipment. The night desk attendant did not follow through on promises to contact manager. The day attendant was better. But by then we were soured on our expensive experience. This hotel is clean with no odd odors. The windows in the rooms need some repairs. Other than that we enjoyed our stay and would stay again. The bed was comfortable and the bathroom was clean. There were no bad odors. Our room was clean (except for the carpet which like the hallway carpets were in need of a good cleaning). The bedding was fresh and the bathroom very clean. The a/c was a window unit and the curtains were too long and covered the vents which made the whole concept self-defeating - the air was blowing up into the window. The unit was also loud and kept us up all night. This was disappointing as we had a long trip ahead of us upon our departure. the property is located just Northwest of San Antonio, it was a good location to launch from as we headed to West Texas. We had arrived around 7pm and were pleased to see that the hotel had a very nice exterior appearance. Unfortunately, this made the less than pristine inside condition more apparent. The hallway tile needed a good mopping and the carpets needed cleaning. There was also a putrid smell in the hallway to our room on the second floor. Our checkout experience was frustrating as we tried to use gift cards that unbeknownst to us had been deactivated because they were purchased before BW changed their software. The clerk couldn't figure out why they wouldn't process the, so I wound up calling the toll free number on the the back of card. I was told that the cards were still good but could not be used until I sent them photos of the front and back along with the case number they assigned. It would be at least 3 business days before they would be reactivated. Breakfast was included, and was typical Best Western fare. As the title indicates - the place is acceptable but wouldn't be my first choice. In town to be with mother in nursing home grieving loss of my father and her husband of 63 years. My room was clean, spacious and quiet. Front office staff was attentive and polite. I have had lesser rooms with bad experiences at far greater expensive hotels. Hands down, BW of Boerne does a phenomenal job. Location was ideal, two miles from my mother's nursing home and one mile from Main St. Thank you for bringing me comfort during a difficult time. We stayed there Christmas week, so that kind of explains it. The staff, room, & motel are very nice. Clean room. BUT,,, someone walked mud into the hallway, all the way into the elevator..??? The staff in charge of ordering provisions missed the whole "days off" for deliveries that week, sooo, they ran out of a lot of the breakfast supplies during the week. "Convenient & Comfy but Loud"
We recently stayed here for one night for a family event. 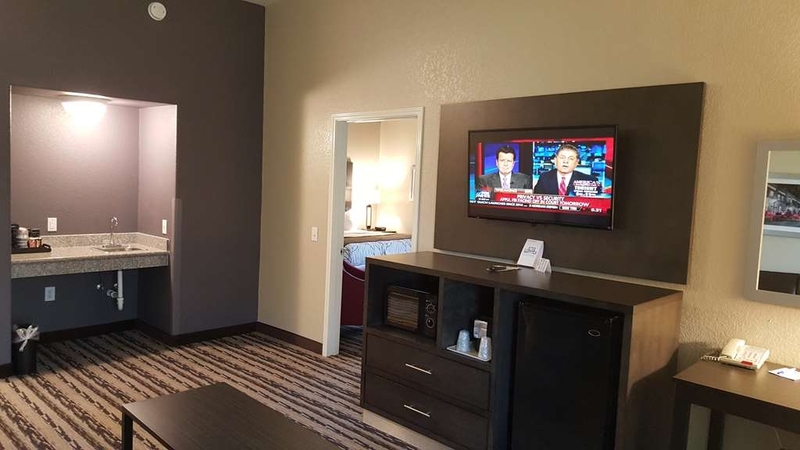 Customer service was great, the room was spacious and comfortable, but the walls here are EXTREMELY thin. There was a family staying in the room next to ours that had small children who were jumping up and down and (I swear!) beating on the walls. This went on until after 11:00 pm. Not great if you're looking for a good night's sleep . . . Checked in and spoke with the front desk clerk Chandler. She was very kind and handled all of our needs. Our room was clean and very quiet. After a long drive coming from Alabama, we were exhausted so it was nice to see a smiling face with quick service. Thank you for a great stay!! Stayed only one night at this Best Western. Check in was quick and easy with very helpful staff. This hotel is right off IH 10 and was worried about the traffic noise as the previous night we stayed at a hotel in this same area and the noise was TERRIBLE. The room was pleasant and the breakfast suited our needs perfectly. "Meh, not the worst but certainly not the greatest..."
There are other lodging options in Boerne that might be better than this hotel. While the ladies at the front were friendly, the hotel was not clean and it just generally seemed mismanaged and understaffed. I would not stay here again. They need better maids to clean the rooms.First room was Dirty old candy wrappers,dirty sheets smelled like poop yellow stains,old condom on the floor in room,Mold in the shower.The second room was kinda clean room it had Asian biting beetles in it the window was open when we came in. The wallpaper in around the window was full of bugs.Mold in the shower hair in the bathtub.The refrigerator had brown liquid in it.The bed was hard as a rock. Asian lady beetles are typically somewhat more aggressive than native varieties and may bite if they land on the skin. Though the bite is not very painful, some people can have allergic reactions, ranging from eye problems like conjunctivitis ("pink eye") to hay fever, cough, asthma, or hives. Our friends had arranged Texas sightseeing for us. They had some unusual tastes. It did involve a night here. We had to ask to move from the room we were allocated as it was just too noisy. Even with the windows closed you could here the traffic on the interstate. We were eventually moved to an executive room which was on the opposite side of the hotel and this was excellent. Room was large, bed was very comfortable and it was much quieter. The breakfast was ok, nothing to write home about but served it's purpose. The facilities were good, having a gym and an outdoor pool though as it was December we weren't tempted by the pool. It was good value for money. Rose was awesome on check in she was very friendly and helpful. After we got to the room we found the TV was not working at all. I went down to ask her if she could fix it for us and she came up to the room looked at it and said she would rather upgrade us to a room down the hall. Thanks for the great service Rose! My family and I had a very satisfying stay at this Inn. We were there for about 3m give or take for business purposes and honestly if we get to go back out there we will definitely be staying here again. The staff was excellent all very welcoming and friendly. Tony the general manager was always very kind, second manager she was also very nice. Erin worked the graveyard shift, very pleasant individual he regularly made sure we were ok. Breakfast was great and the gym area has all the basics needed really enjoyed. We only experienced one little issue with the heater/ac unit and although it wasn't their fault (electrical) we were gladly moved to another room right away. Overall very pleased, and thankful. "Rose is a great breakfast provider!" The room was quite comfortable. It could have used 1 more chair. Since the weather was rather nasty it would have been nice if the floor could have been vacuumed to get up the little mud clods that we left when we would return to the room every evening. "Great Inn for family stay"
A lot of our family members stayed at the Inn as it was close to the venue for a family wedding. The room was comfortable, the service was great, and the included breakfast was very good. There were a couple of very good areas for our entire family to hang out and visit. We really enjoyed talking to Rose in the dining room. She was the most friendly of all the employees we met. Thank you Rose for making our stay so comfortable. Staff, especially Erika, is the Best! Good breakfast. Really the quietest rooms I've ever been in. Stayed in 3 different rooms during my visit do to check-in check-out for traveling. Every bathroom the same.... No water pressure in shower. Come on... Fix that!! Great hotel. Poor maid services. Need a little touch up in rooms. Odd lighting. Good breakfast. Large lounge. Staff nice but unusually quiet for hotel. No smiling greeting or offers of advice etc. We asked questions not knowing area. Bland short answers. Could of been a better visit with just a few changes in touching up paint and poor lighting. 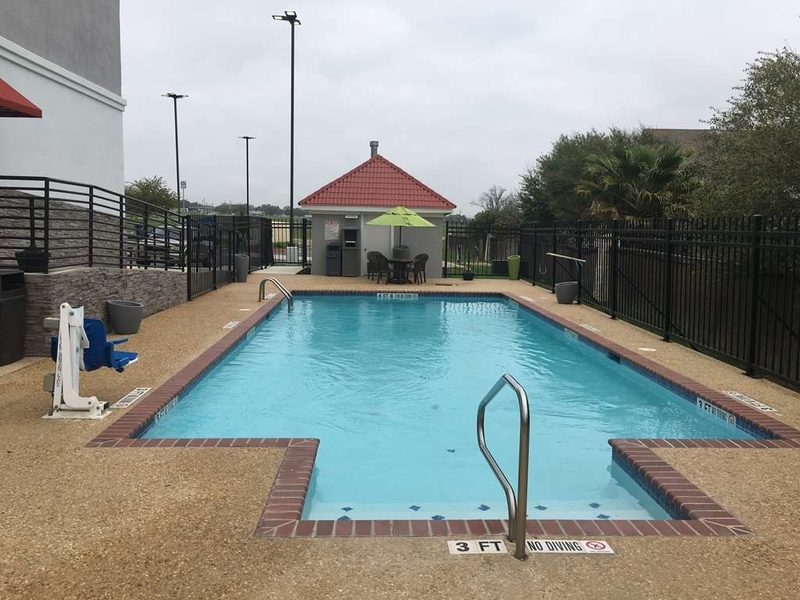 "Great Hill Country Option Away from the Big City Crush"
My husband and I were visiting friends in the San Antonio area and were looking for an alternative to the heavily trafficked areas inside the loops of the city. 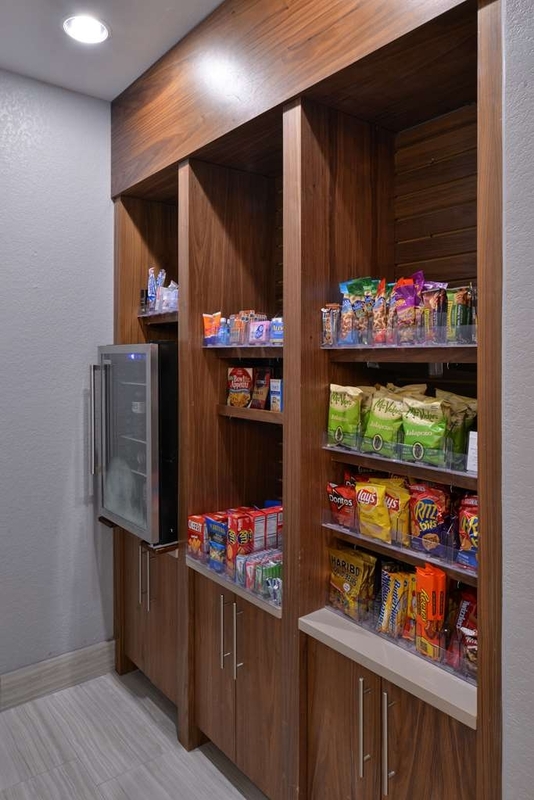 We found it in the Best Western Boerne Inn & Suites. 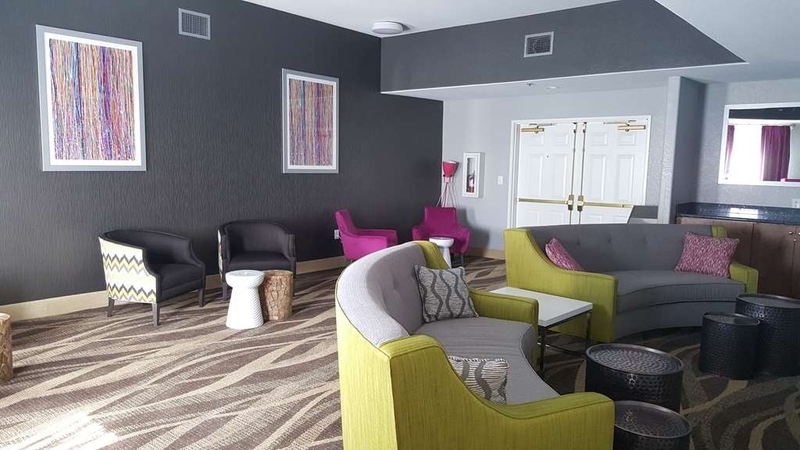 It's a quiet, clean hotel that's new and appealing. 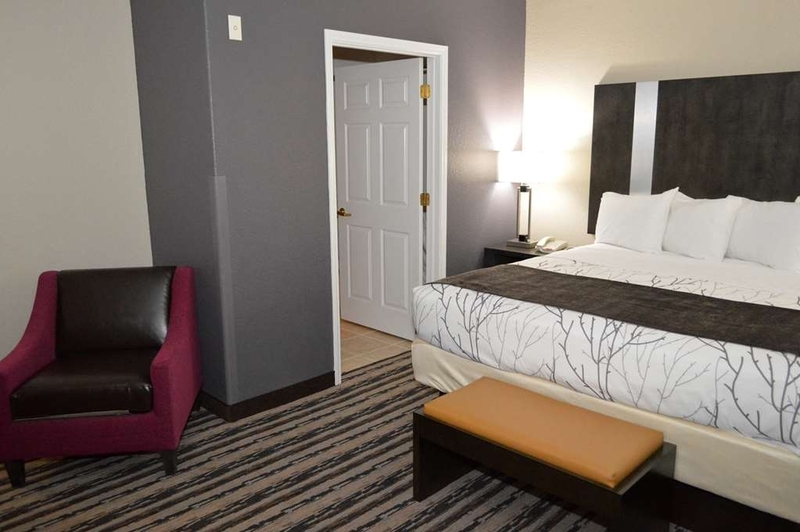 It's very convenient to I-10, located on the westbound frontage road, but has surface street access toward the east. 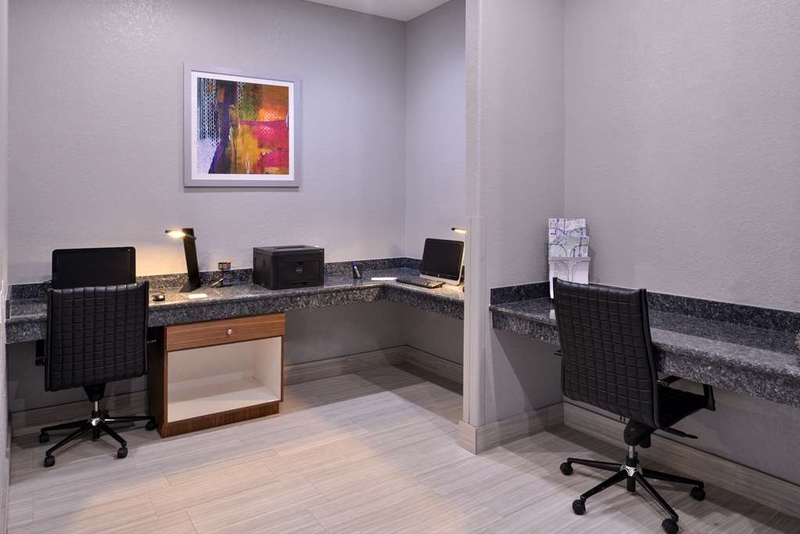 It's convenient to San Antonio (about 30 minutes away) and the rooms are a lower rate. Ours was a nice size and came with a fridge and microwave. There's a great outdoor pool, very clean, good temperature, and big enough to swim laps in. There's also a nice fitness room with aerobic exercise equipment and a weight machine. 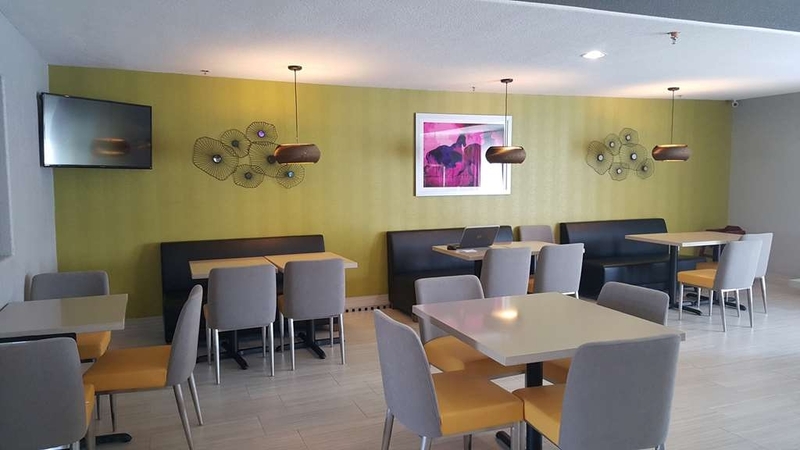 They offer a complimentary standard hot breakfast with good choices and the breakfast room is spacious and sunny. They have a full laundry room (and it's only $1.00 per load for each washer and dryer), which we took advantage of during our stay. Our room was on the side fronting I-10 (despite a prior request for the quiet side) and it was noisy at night. Thankfully, the A/C fan helped cover the noise, and we had the option to select “Constant Fan” when we wanted to sleep. The bed was very comfortable and we had good choices for firmness in the pillows. Boerne itself is a nice town, and a welcome place to decompress after the busy-ness of the big city. 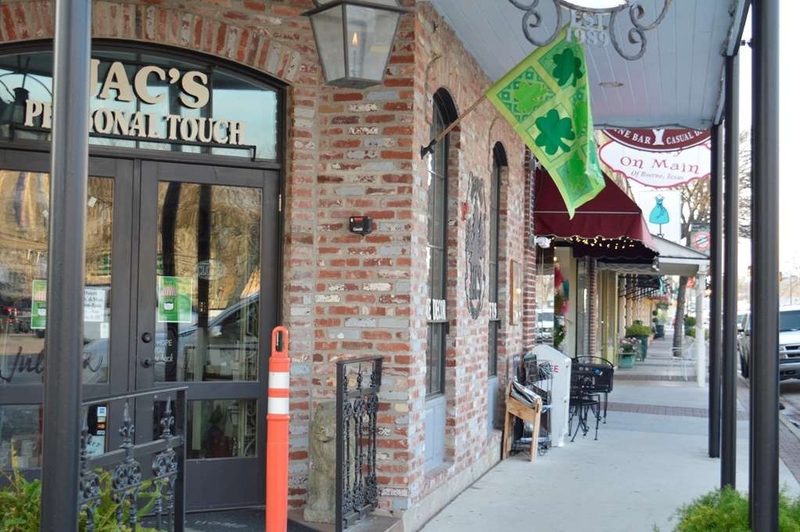 The hotel is just a short drive from Main Street, where there are charming shops and many restaurant options. It's also one mile/one freeway exit from the local HEB, which is a great supermarket chain where you can find just about anything you need. Kudos to Anna at the front desk who helped us not only with check-in but with dinner recommendations and local directions. She was always friendly and pleasant and seemed genuinely glad to see us whenever we returned to the hotel. Overall, it was a great stay, and had our room been away from the highway noise, it would have been excellent. The hotel backs up to a residential area, so the rest of the surroundings are very quiet and, indeed, tranquil. We would definitely return here on our next visit to the Alamo City. Very clean place from the lobby to the room. The staff were friendly and helpful. They have a nice swimming area. They are not far from the town, the caverns we were going to see were right up the road. Wold stay here again for sure. "One of the nicest places we have stayed at in a while!" The hotel was clean, the staff was very friendly!! Very clean hotel which is a MUST for us!! Breakfast was good and the staff there were so nice, sweet!! Our highest praise for this location! Thank you to all of the staff!! Dear brucelady: Thank you so very much for reviewing your recent stay at the Best Western Boerne Inn & Suites. 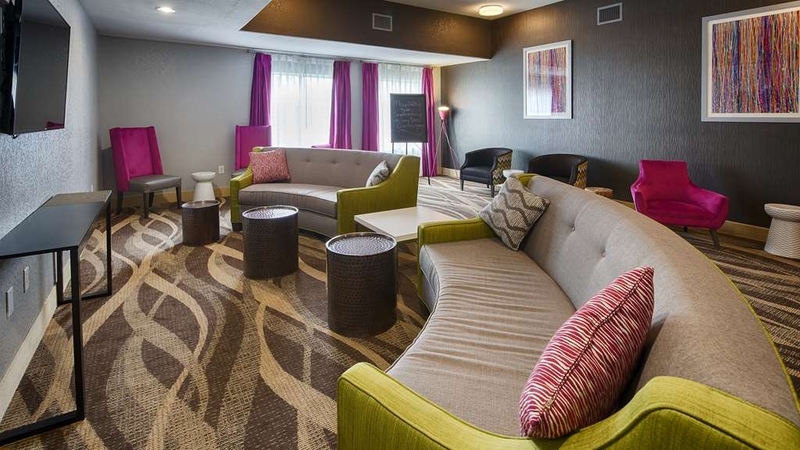 We are always excited to hear that our level of service and hospitality makes your stay comfortable and enjoyable. We hope to see you again soon. 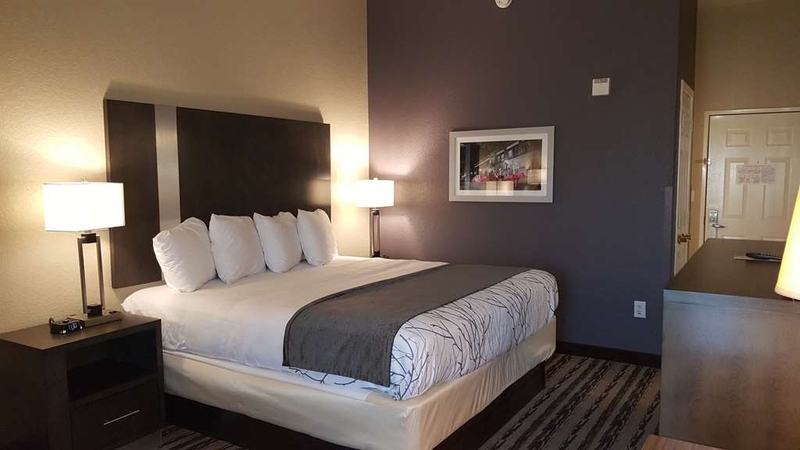 Sincerely, Tony H.
This Hotel was excellent .From the staff friendliness and fast check in to the rooms which are very very comfortable and spacious. The bathrooms were big and had dispensers for shampoo,conditioner and body wash. The buffet breakfast was great sausage ,eggs and waffles also you hurt and cereal. The beds were so comfortable I slept like a baby in mamas arms haha. Do yourself a favor and don't miss this one. "Not impressed with staff or condition of room"
Thankfully we only needed 1 night here as we were passing through. The room was very small, the bathroom door couldn't close at all (literally the door did not fit the space it should close into!) and the staff could not be less interested in guests. Upon check-in the person at the desk audibly sighed as we arrived, seemingly displeased to have to check someone in. Everything was great! My pets were welcome. Beautiful decor. Clean comfort! Our experience made our move to Texas very positive! We plan to return to the Boerne location again, whenever we pass through San Antonio! Desk service was excellent, also breakfast and laundry facility. 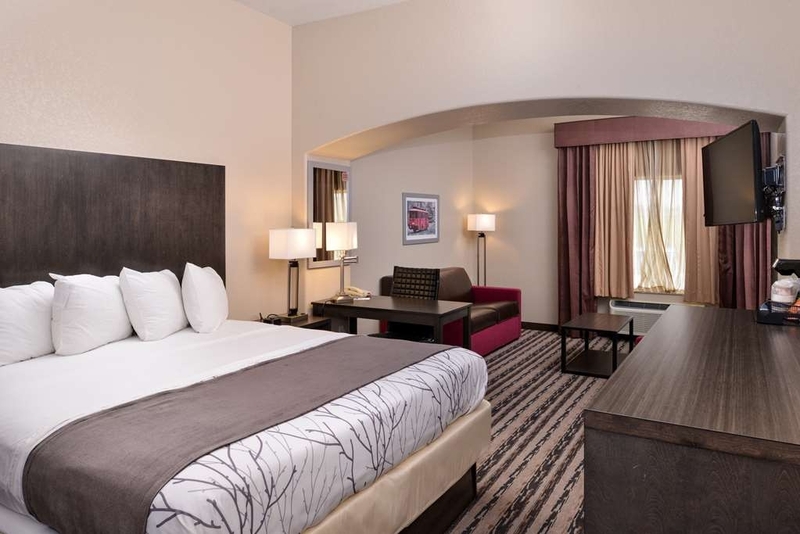 I have stayed at this hotel previously and liked it very much, as I have other Best Western Plus locations. 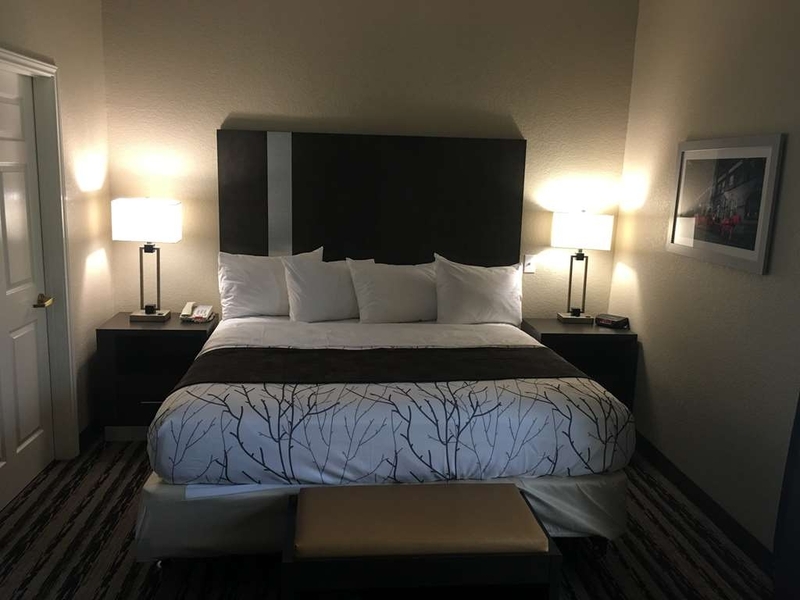 Some change needs to be made at some Best Western Plus Motels regarding appearance of bed sheets, as one other location I had the same impression that the sheets had not been changed, That time the desk clerk changed them herself, as maid staff was gone for the day. 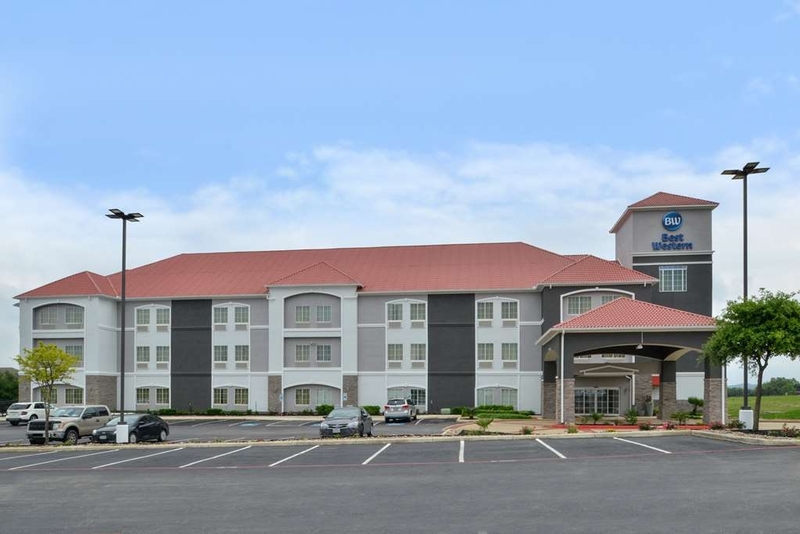 "Visiting for Family Wedding in Boerne"
This hotel is conveniently located right off the interstate. Staff was warm and inviting, always greeting you with a smile and asking if they could assist you in any way. Hotel was clean, comfortable, and nicely decorated. Complimentary breakfast was fresh and a nice perk to an already pleasant stay! I would definitely recommend this hotel if you are in the area! We rented a large number of rooms for a wedding. Service from the manager was great. The hospitality room offered a great place for people to gather. Breakfast offerings were outstanding. Overall our visit was great. Rooms were well maintained, maid service well done and all of the wedding party were very satisfied. The pool isn't heated, so we could not enjoy that, but it is clean and well maintained, I'm sure it is great in the summer. Road noise is inevitable so close to the Interstate, but not too bad, do recommend you request a room away from the road. Overall, very well done and highly recommended! Close to the highway and easy highway access, surprisingly really quiet. Really liked the fact that they had security cameras in their parking lot ...The beds were really comfortable, warm shower. Nice hot breakfast, friendly staff. Will definitely consider staying again next time we are in the area. We were very happy with our stay. We were upgraded to a very nice room. They had some great cookies when we checked in!!! Our room was clean and very comfortable. WiFi was great. Breakfast was very good. They even had bananas which we like! We would stay here again! Great stay at the Best Western Boerne & Suites!! Caring staff and recently relocated, will definitely return!! 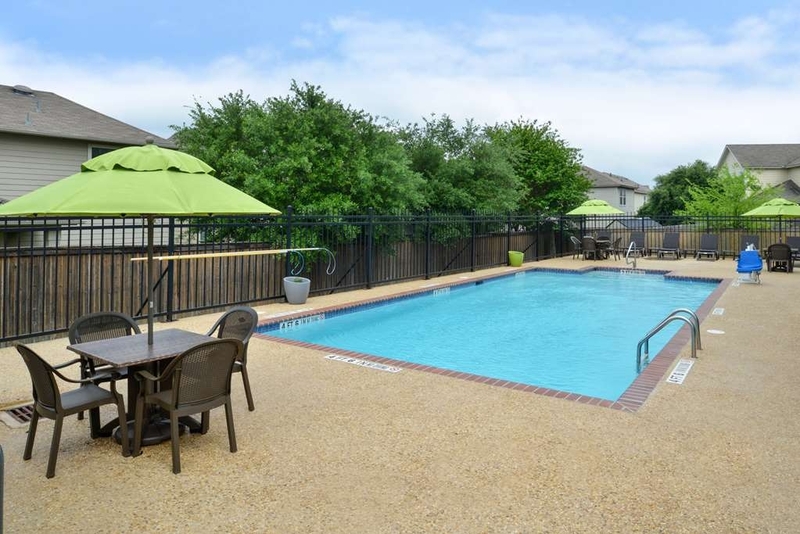 Easy access on and off of I-10 and an easy drive to San Antonio, Fredericksburg and Kerrville!! Overall review is excellent. Suites were large, clean, and contained all the necessary amenities Housekeeping was attentive and responsive to our requests. Staff were amazing, friendly, helpful, professional, and responsive to all our needs. Great place to stay. Very comfortable, clean, good breakfast. Very personable staff. Convient location. Making a long trip so being right on I - 10 outside of San Antonio was perfect. Would stay here again. The staff is very personable. One gentleman in particular (don't recall his name) was very compassionate and helpful when my son was sick and vomited in the breakfast area (no reflection on the food!!) Also, the following day, my son spilled the milk pitcher all over the breakfast counter and the same gentleman jumped right in to clean it up and was so kind about it all. He even tried to make my son feel better by telling him about an incident when he spilled something on the counter, too. Dear lauramJ6203DI: Thank you for your kind comments in regards to your recent stay at the Best Western Boerne Inn & Suites. Our goal is to make every guest feel at home and provide them with the hospitality and service they expect and deserve. We realize at times things happen that can take away from your ability to enjoy your stay and just like family, we try to help in any way we can. We hope to see you again soon. I enjoyed my stay here and had no problems whatsoever. I ate dinner from the restaurant and had a few cocktails at the bar. The room was clean, comfortable and priced right. Big useful truck parking is always a huge plus to me and the parking here was top shelf. Easy on/off interstate, Best in the area. The only negative was the morning breakfast food was not hot. Room was exceptionally clean and pool looked inviting had it been a warmer day! Staff was smiling and most efficient. We will be returning. Dear Christine G. Thank you for your comments concerning your most recent stay at the Best Western Boerne Inn & Suites. We strive is day to meet or exceed our guests' expectations and we are always pleased to know we did so in your case. We apologize that our hot items on our breakfast buffet were not as hot as they should be and we will look into how we can improve on that issue. We do look forward to having you with us again soon. Sincerely, Tony H.
"Too noisey due to freeway"
Very easy access to I-10. The building design did not seem to take in to account of the freeway noise. The room had an AC fan which could run continually but it still failed to cover the freeway sounds. There was a ground level door which could not be closed/locked which created a security issue. Employee said that it had been reported but nothing seemed to be done about it. Customer service was terrible. Concierge didn't even greet us upon arrival. He took forever to handle our request, gave us the wrong room and wasn't apologetic about it. Our microwave didn't work which was essential for us for it to have worked as we have a child and we needed to warm up her milk. Breakfast the only thing that was great. Dear U5195MAdianam: We offer our sincerest apology for the lack of hospitality you received during your stay at the Best Western Boerne Inn & Suites. Your experience was just as unacceptable to us as it was to you. We have taken steps to further train the front desk agent to ensure this does not happen again. We strive to provide only the best service and hospitality and we hope you will give us another chance to show you that your past experience was an anomaly. Sincerely, Tony H.
Staff was very helpful and friendly. Breakfast was very good and dining area was very clean. Rooms were clean and comfortable. 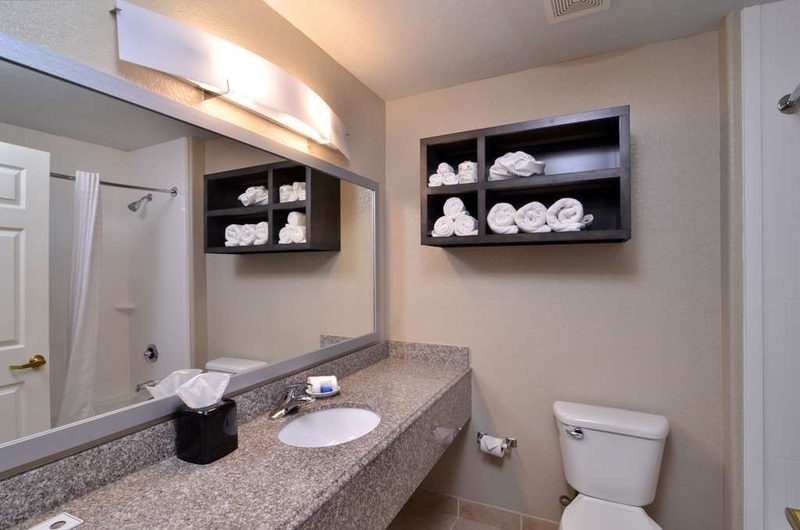 Bathroom was clean and well stocked with towels and toiletries. Conveniently located to where our activities were taking place and easy to get to. Dear MichaelaO407DZ: Thank you for providing comments on your recent stay at the Best Western Boerne Inn & Suites. We are pleased that you had a good stay with us and look forward to having you with us again soon. 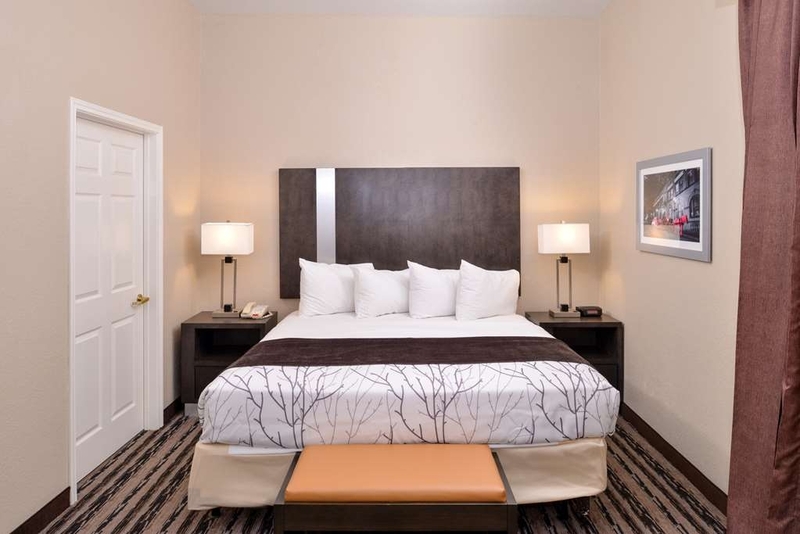 We strive to provide a comfortable and hospitable stay for every guest and the staff is always excited to see that we succeeded with our valued guests. Sincerely, Tony H.
We saw the hotel sign on the highway and decided we would check it out. The Best Western was right beside the highway but could not hear any of the traffic from our room. We were given a map of the town but unfortunately we were too tired to venture out once settled in. The have a really good hot breakfast. Dear Ken H. I must apologize for the late response to your comments concerning your stay at the Best Western Boerne Inn & Suites. We appreciate your kind remarks and are pleased that you chose to stop at our convenient location to travelers on IH-10. 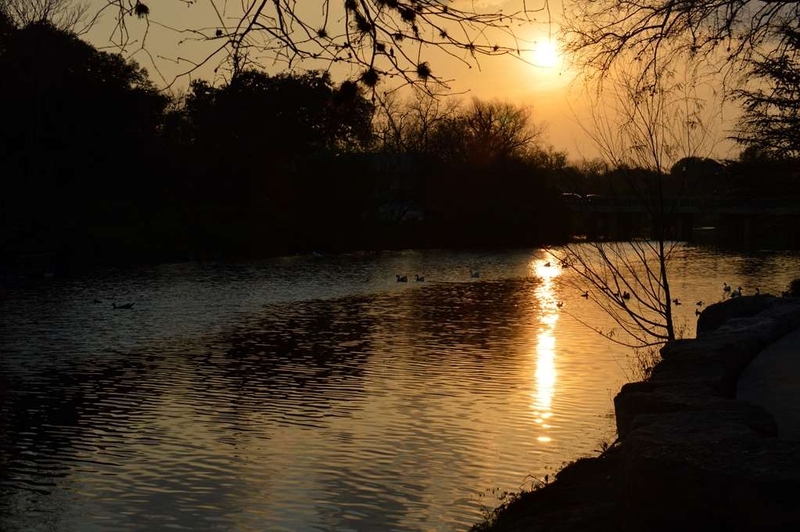 We hope on your next visit you will have the opportunity to spend some time enjoying the sites and foods of Boerne. Sincerely, Tony H.
The staff were extremely friendly & helpful. Rooms were very clean and services were fast. The location was near a lot of restaurants & antiques shop. It was not hard to find the way back once we were sight seeing and watching a night rodeo. A great place to stay. Right along side of I10 and close to shopping. Highly recommend this hotel. Friendly and courteous personnel. 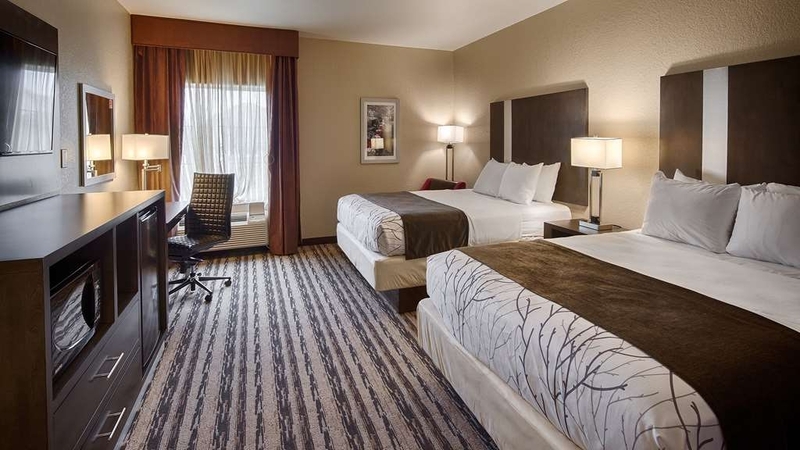 Rooms are clean and housekeeping does a great job cleaning. Great breakfast in a comfortable setting. Thank you for your review. We are happy that your enjoyed your stay at our property. Wedding party review. The hotel was clean but smelled like mold. Rooms also smelled like mold and the AC was as strong as an asthmatic blowing thru a straw. In short not the place I would like to be at again. The breakfast was also small and unsatisfactory. Thank you for your review. We do apologize for any inconvenience this caused you. "Best nights for the price"
I had a great stay when I visited family in the area. The price was perfect for the night stayed and the overall experience the Best Western was amazing. I would suggest that they put out signs leaving directly to the hotel so that's easier to find the correct road to travel. Other than that, I enjoyed staying at this Best Western. Thank you for your resent stay. We do apologize for that inconvenience, we can't have a sign on the road because the city does not permit it since it is not our property. We are happy that you enjoyed your stay. Very nice hotel! Great hotel staff! Breakfast was great! I love the biscuits and gravy and bacon and eggs...and waffles. Lol! The decor is fantastic and the room was very nice! My kids really enjoyed the pool. I would DEFINITELY recommend and stay here again! Thank you for your review. We are very happy that you enjoyed our breakfast items. We appreciate that you enjoyed our décor. My family and I stayed here for a total of 8 days, and had a fantastic time. Staff was always friendly and helpful, the hotel itself was clean and orderly. Pet friendly Hotel! Breakfast was good and convenient, always well laid out and thoroughly cooked where needed. The pool is great, fitness room has actual weights and a weight machine instead of just an elliptical and a treadmill like you will find at many hotels "fitness rooms". Only a few minor dings, the circuit breaker would pop in the breakfast area nearly every morning when it was busy and people would use several appliances at once. The weight machine in the fitness center needs some attention, seems to be missing some pins. We had a minor misunderstanding with billing which was rectified very easily. All in all, I would definitely recommend this hotel, and will choose it again should I need one in the area. Staff were very friendly, room was nice and shower was good. It was quiet and the breakfast was good. Would definitely stay here again. There isn't much right by the hotel but a drive mins away will you get you places. Bugs crawling all over the floor in the bathroom. If you stay here in June I would advise you to bring bug killer or spend your time trying to keep from stepping on bugs in your bare feet. I have an exterminator come and spray for bugs at my house. 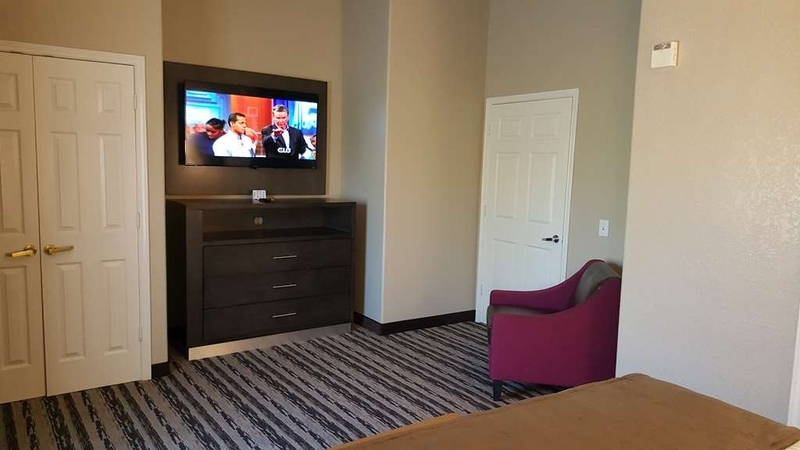 The rooms have quality furniture and fixtures. The breakfast is decent as well. Bacon was thin, but tasty. The waffles were better than those available in many motels. The only problem was bugs in the pool. Landscaping was overgrown, beer cans by the pool for three days, overflowing outdoor trash can, gross urine smell in our room, and air conditioner did not cool properly. Disappointed because the hotel was rated so highly on TripAdvisor. "Very Clean, Comfortable and Friendly Staff"
I stayed here in for three nights in March and the room (double queen) was very clean, spacious and the bed comfortable. They do a good job on the complimentary breakfast with a nice variety of foods. 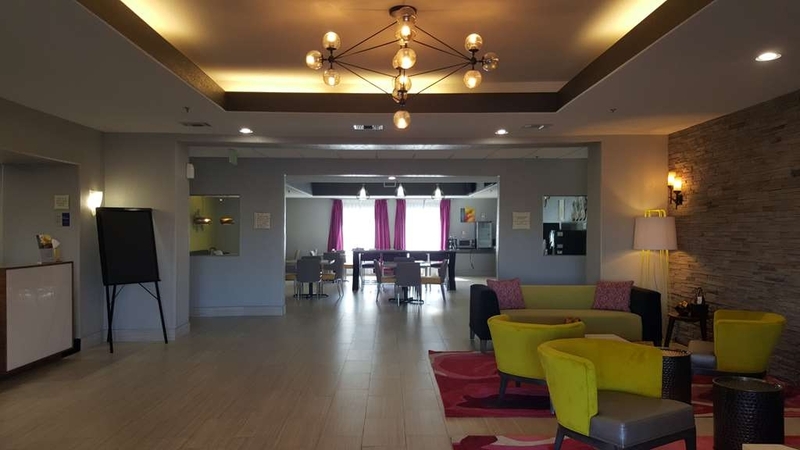 The staff is very friendly and the hotel is right off of the freeway so access in and out is convenient. We ( family of 4) stayed one night for a wedding at The Springs in Boerne, Texas. This is the closest hotel to this venue. 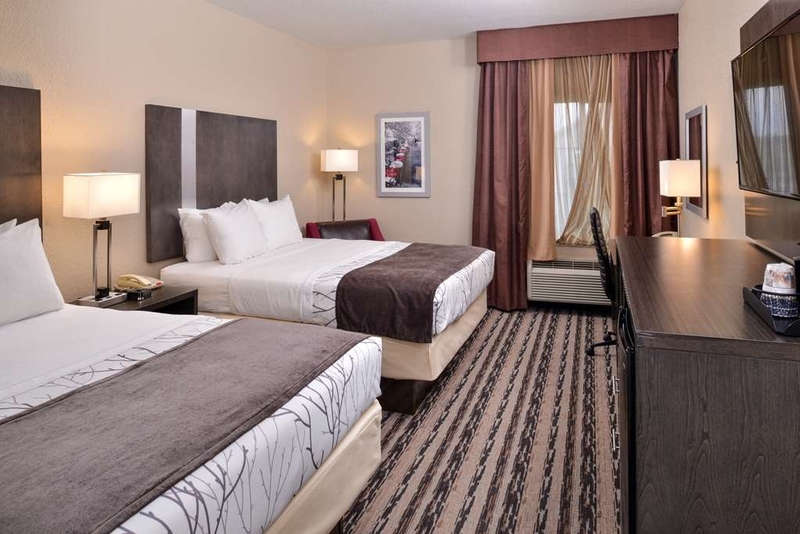 The room was clean and the staff was very friendly and helpful. Parking was adequate and the breakfast was good. There is a back road that is great to take to get to downtown if you want to avoid getting on the highway. The hotel allows dogs but I never saw any sign of dog hair or loud barking in the hotel. My child and husband are allergic to dogs and they never had any problems. 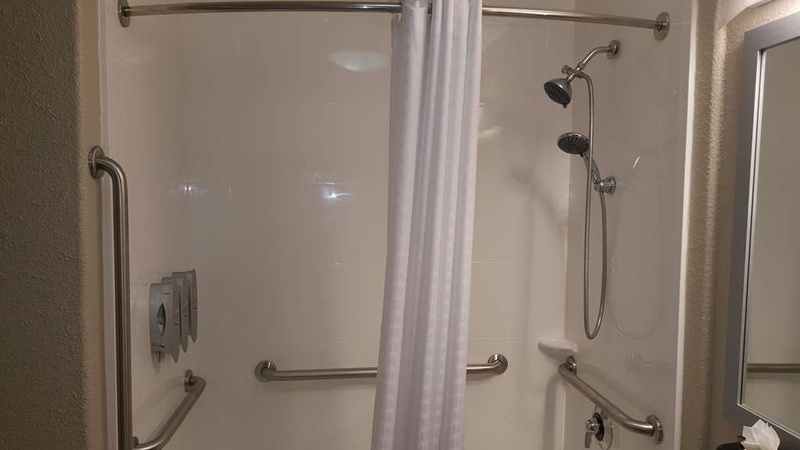 My mother rented a handicap accessible room and it was very large with adequate room to move a wheel chair around. Bathroom was very easy for her to use also. I would recommend to stay here while visiting Boerne. Check out the Hungry Horse Cafe if you like great burgers. They have a huge menu to please everyone. Enjoy your stay! Thank you for taking the time to review your resent stay. The appreciate your feedback. Wow!!!! 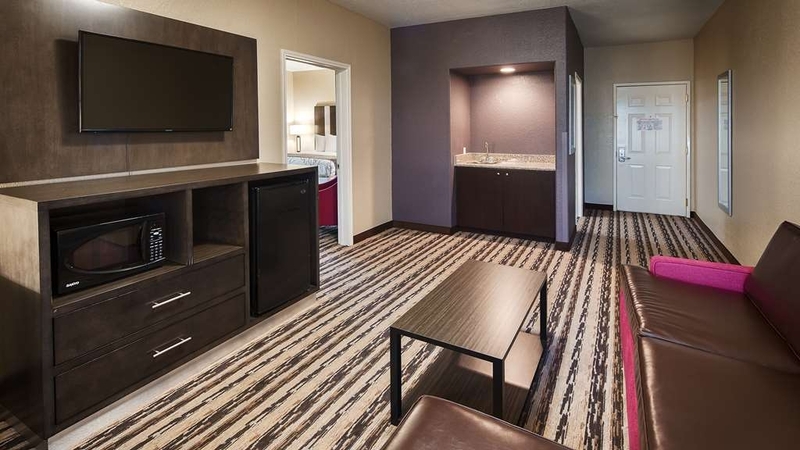 I was so amazed when I checked in at Best Western Boerne, this hotel is so beautiful they let me know that this hotel has been remodeled from a La Quinta. The room that I reserved was a suite it was so clean and spacious. When we stayed on Sunday at check in the front desk was so professional, very quick check in. 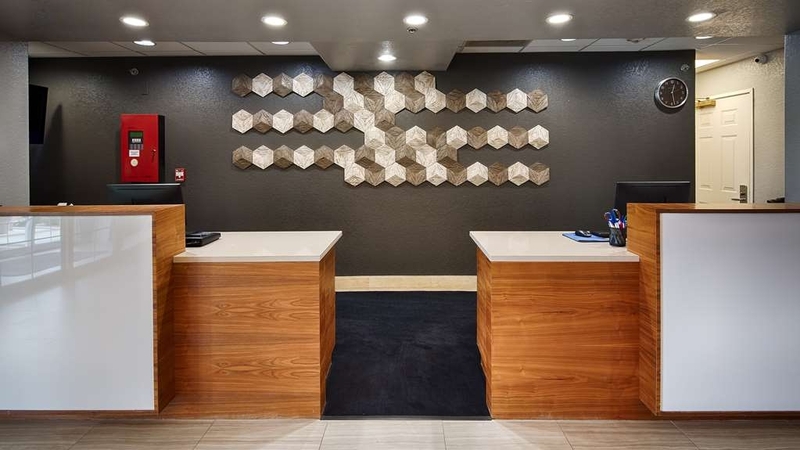 I did notice that when I checked there were some guest that were very obnoxious and rude to the front desk, but she handled it very well, I have never seen a person act so rude to an employee. Other than this I loved my stay the pool was so refreshing. I will stay here again when we come back from California. Thank You for taking the time to review your resent stay. We do appreciate your business. When you are in town come back and stay with us. 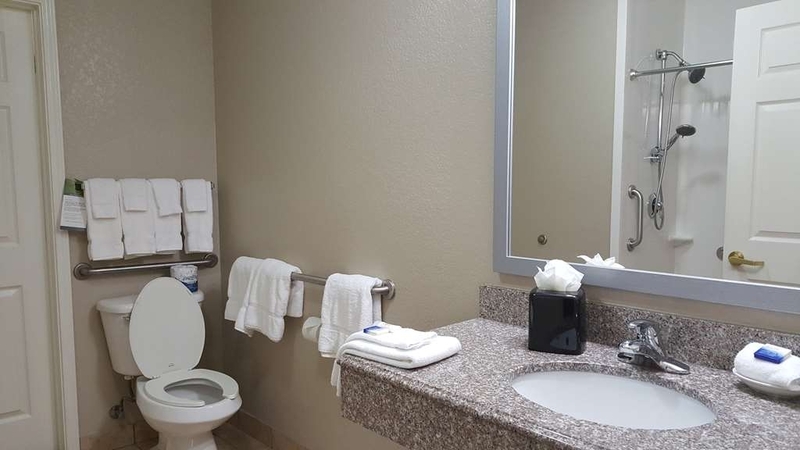 "New, clean, convenient highway stop"
This is an easy on-off highway hotel when traveling I-10 north of San Antonio. 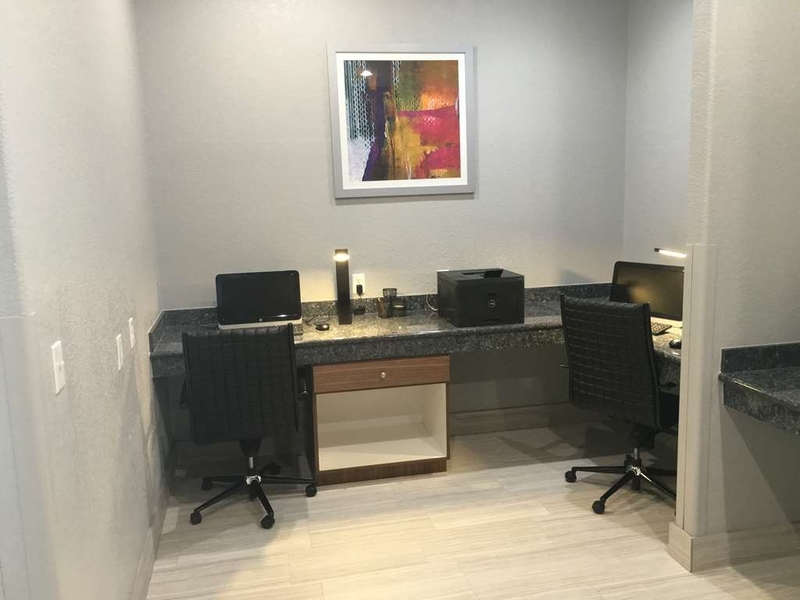 Clean, comfortable up-to-date facility with all the basics (wifi, free parking, breakfast included) for a single value price. Found no reason to be unhappy. Thank you for taking the time to review your resent stay. We are very happy that you as a customer are satisfied with your stay. We value you as one of our customers. When your are in Boerne we hope you stay at our facility again. My family and I went for vacation- this hotel is clean and the staff is very friendly and know the places to send you to. Enjoyed this! There are plenty of places to go within walking distance which makes the stay even more relaxing. thank you for takin g the time to review your stay. we value your feedback. "Large group for a wedding"
Thank you for taking the time to review your resent stay. We value your feedback. We are glad you enjoyed time with your family and friends. Check in/out simple was a simple process. The room was clean and a/c worked well. The only complaint is that the shower was not so great. The water pressure was low. Other than that, I'd stay here again. Thank you for taking the time to review your resent stay. We value you as our customer and appreciate your feedback. Stayed here to attend a wedding. 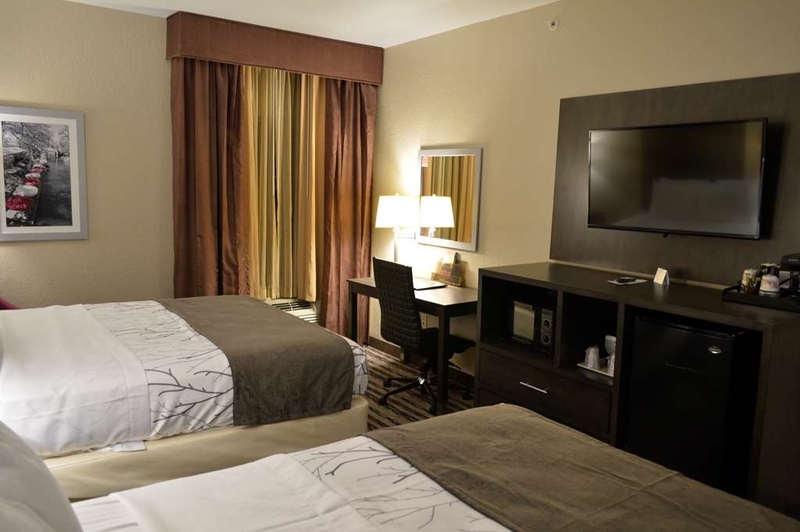 The rooms were clean and the staff was friendly. Got to use hospitality room because we had more then 10 rooms blocked for the wedding. Close to restaurants and shopping in Boerne. Thank you for your review on your resent stay. We are glad that you enjoyed your stay. We enjoyed having your family at the facility. "New Hotel Close to Downtown"
The hotel is new. Everything was in good working order. 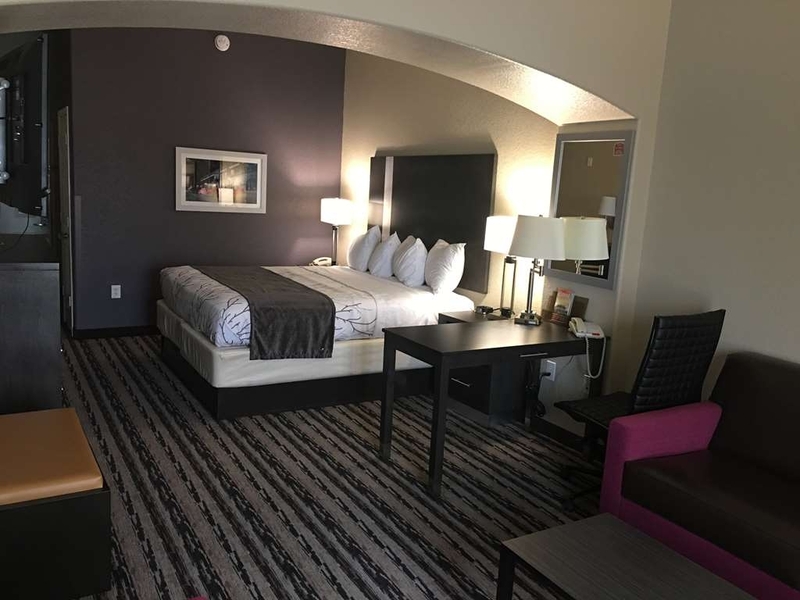 Hotel is just off the freeway (Highway 10), yet is only 3 minutes from the downtown area. The breakfast area was clean and comfortable. The breakfast items available more than met our needs. We have recommended this hotel to others, and would stay here again. Thank you for taking the time to review your resent stay at our property. The strive in providing superior customer service. We value you as a customer and we want to thank you for choosing Best Western Boerne. This hotel is so well managed, great staff, nice complimentary breakfast, lovely and very comfortable rooms, tasteful decor, great gym room...will definitely be back given half a chance. Super find! Zero complaints and I am, admittedly, a bit of a fuss pot. Why stay anywhere else? Better, IMHO, than more costly competition. Nice distance from town and not far from airport. Modestly priced. A real winner! Thank you for taking the time to review your resent stay we value your feedback very much. Thank you for your business, when you are back in town, we hope to see you again. We loved our stay at this hotel. The staff is very professional and friendly. The breakfast was amazing, you can build your own yogurt and oatmeal. The room was great very clean and the bed was great. I will definitely stay here again. Stayed for a wedding that was blocked at this location and they accommodate weddings very well. They have a hospitality room with couches that they allow us all to gather in. Very nice,respectful,helpful staff!!! Thank you for your review. We appreciate your feedback. We hope you had a really good time with your family for your wedding. My stay at Best Western in Boerne was fantastic. 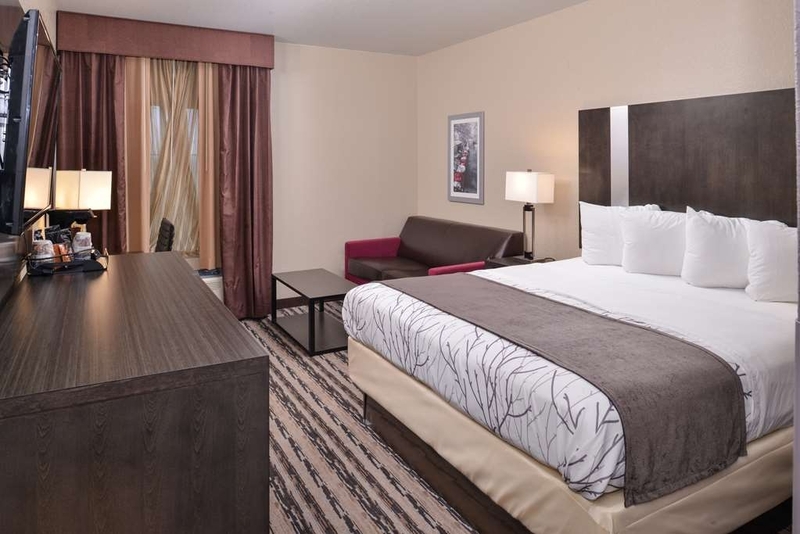 The hotel is newly renovated and is super clean. The staff is very professional, and welcoming. 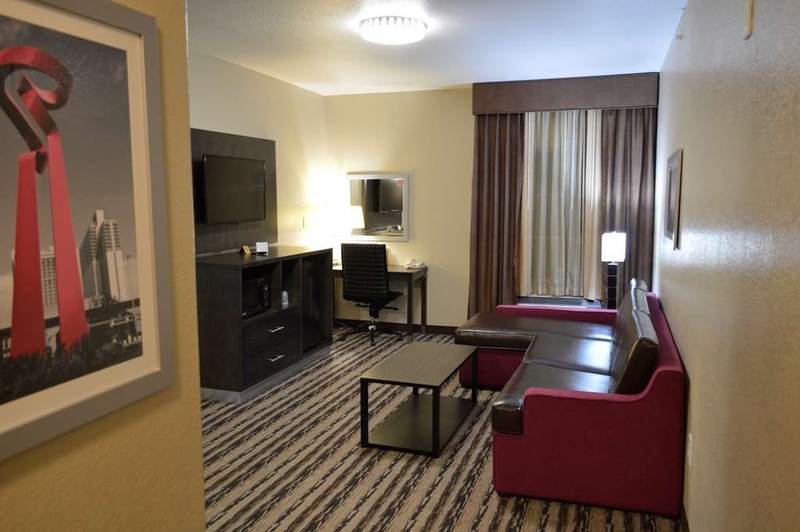 I will definitely recommend Best Western and we are looking foward to our next stay!!! Located near many Hill Country sites, cities, venues, and ranches. 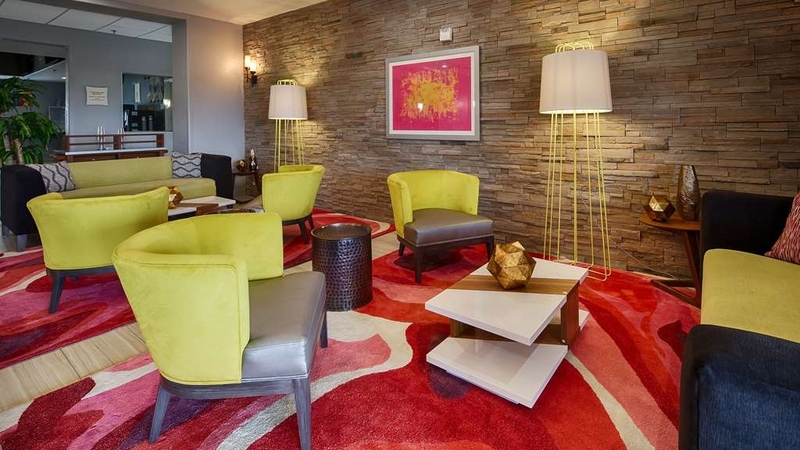 Recently renovated with rich, cheerful colors and very clean. Pleasant, courteous, and professional staff. Complimentary (20 item) breakfast in a large yet relaxing dining room, an inviting and attractive sitting area, and a cozy hospitality room. 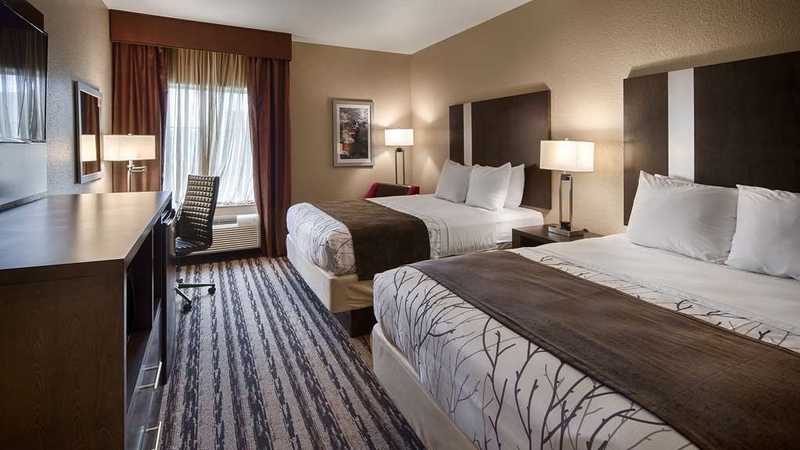 The rooms are clean, quiet, and comfortable. Pet friendly and plenty of parking. Highly recommended for leisure, business, or wedding block! Thank you for your review. We appreciate that you took the time to write a review on us. We would love to see you back when you are in town. 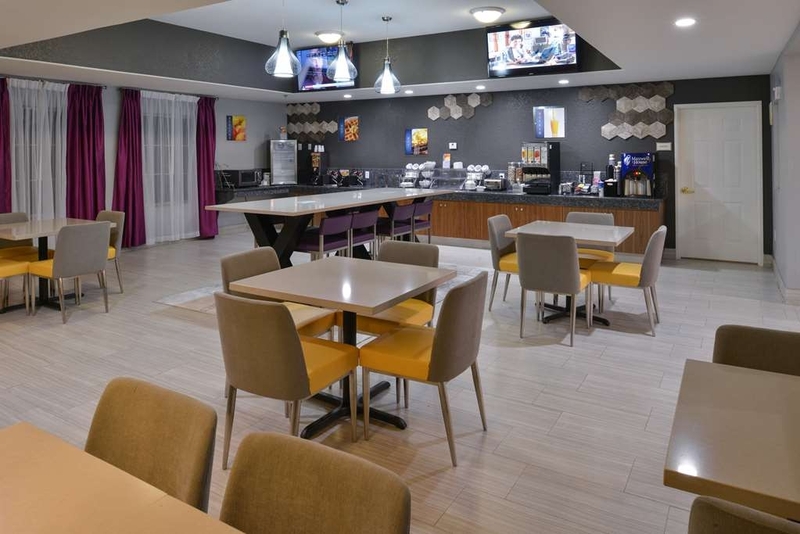 "nice quiet nite and great hot breakfast"
especially helpful was Ashley,at the front desk. she ensured that i was able to connect with wifi , that we had closed captions on tv and had a quiet room on 3 rd floor. Bed was was very comfy . no problems whatsoever with our stay.. A newer hotel too. Thank you for taking the time to write a review on us. We take pride in striving to help our guest. 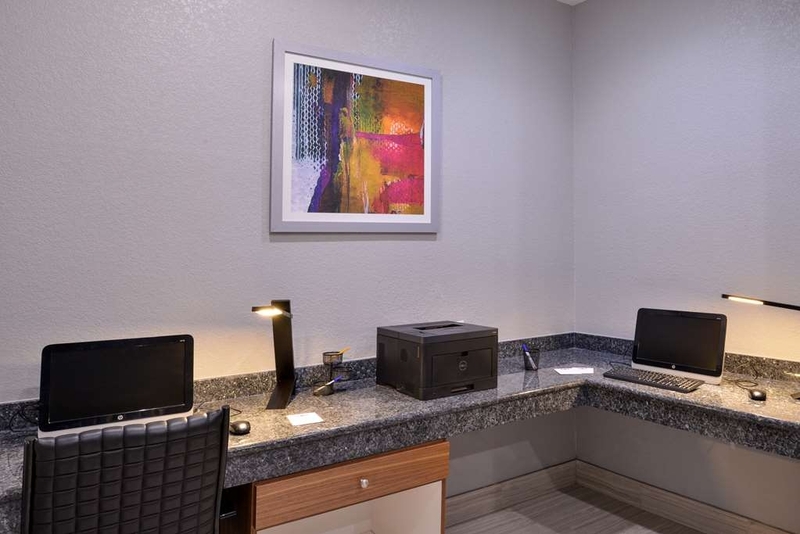 "Newly renovated, a good starting point to the hill country"
Thank you for taking the time to write a review. We hope you enjoyed your stay with us. We hope to see you again when you are in town. 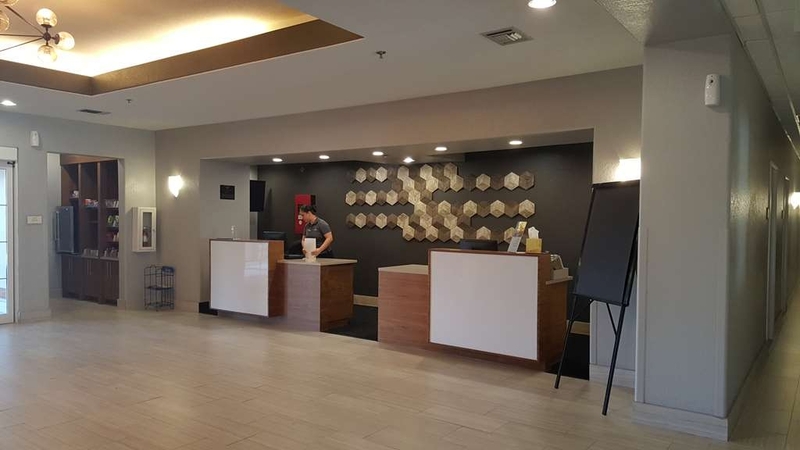 Clean Hotel, Friendly and Helpful Staff, Safe and nice location . Here for a wedding. We had everything we needed and BW made it easy to relax during down time. I would recommend for a wedding block in Boerne! 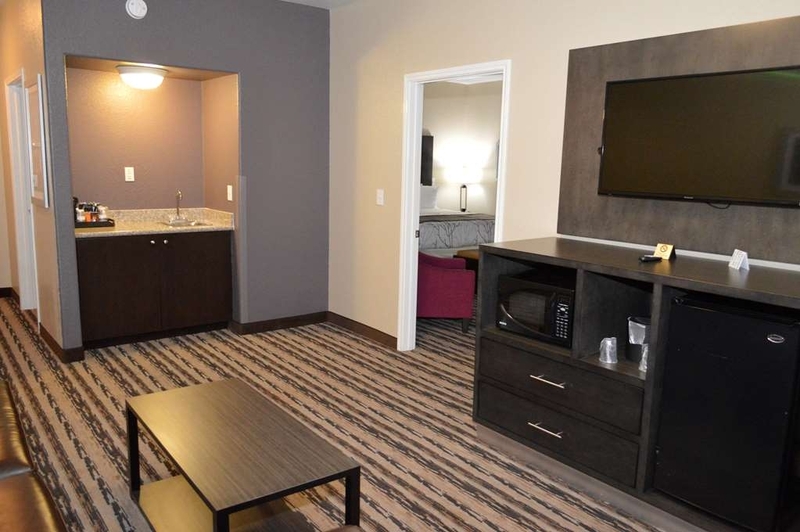 Very nice, recently remodeled motel close to various attractions. Breakfast is a typical motel assortment of items. Offered cookies and ice tea in the afternoons. Our room was very comfortable, nice beds and linens. Internet was adequate if somewhat slow on the third floor. If in th area we would stay again. This Best Western was a very good Best Western it was fairly new and the property was very clean. The staff was very nice and I liked the fact that there was an hospitality room available for our usage. Thank you so much. We strive in our customer service to our guest. We value your feedback. We hope to see you again. Boerne is one of our favorite layovers when we pass through the hill country. This BW has apparently undergone a recent, major refresh and they have done a great job. 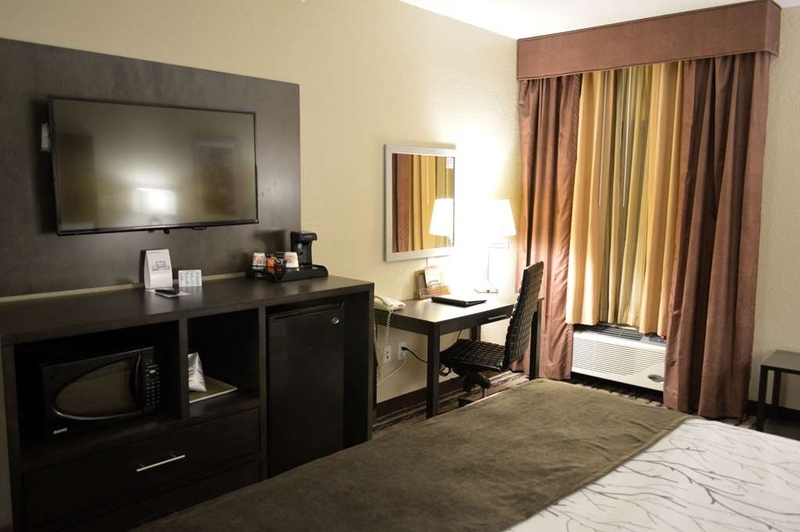 The rooms are comfortable and well appointed, the AC works and was running when we checked in at 2:30PM and there was a large number of channels available on the flat screen TV. The pet fee for our dog was only $15, and there was a large grassy field, adjacent to the motel, making it easy to give her an outing. The breakfast service is one of the better I have seen - in addition to the usual beverages, there was scrambled eggs, bacon, yogurt, cereals, and muffins. The counter and breakfast service staff was friendly. I guess I should say something critical for those of you waiting for it. The only thing that I can think of is that the cable box was mounted behind the TV, and I had to point the remote behind the TV to change channels - maybe I am a digitally impaired geezer who missed something. Anyway this is a great place to stay with reasonable week day rates. 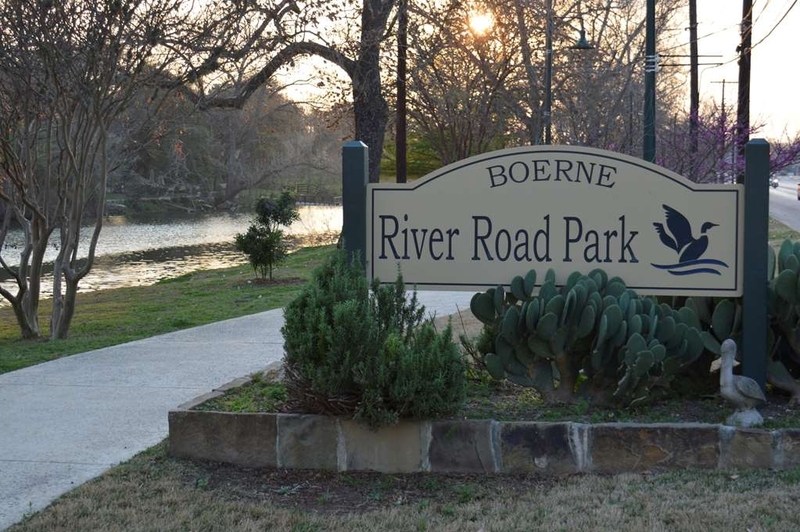 If you need a pleasant stretch of the legs, check out Boerne's River Road Park, only 2.5 miles from the BW. Thank you for your review. We hope to see you again when you come to Boerne. 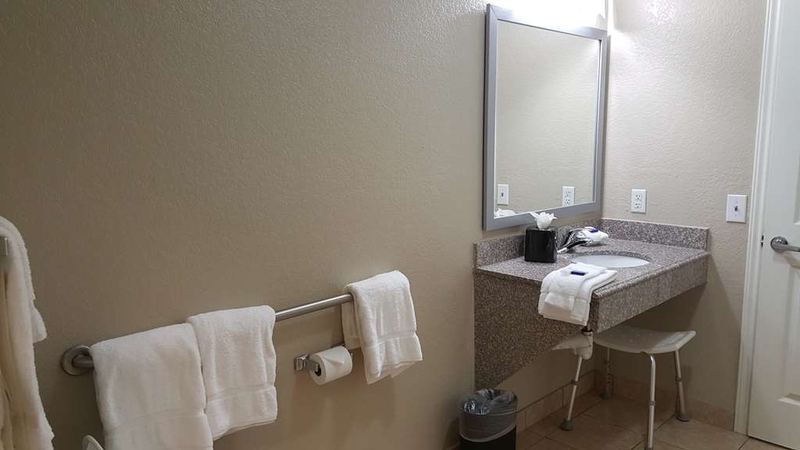 "Best Western Boerne Inn, Texas"
Very clean, modern hotel. In the top 10% of all the Best Western hotels that I have used. Beds are very comfortable. I'd give the shower and 8 (not bad) out of 10. Staff is friendly and helpful. The nearest restaurant is a few miles from the hotel. 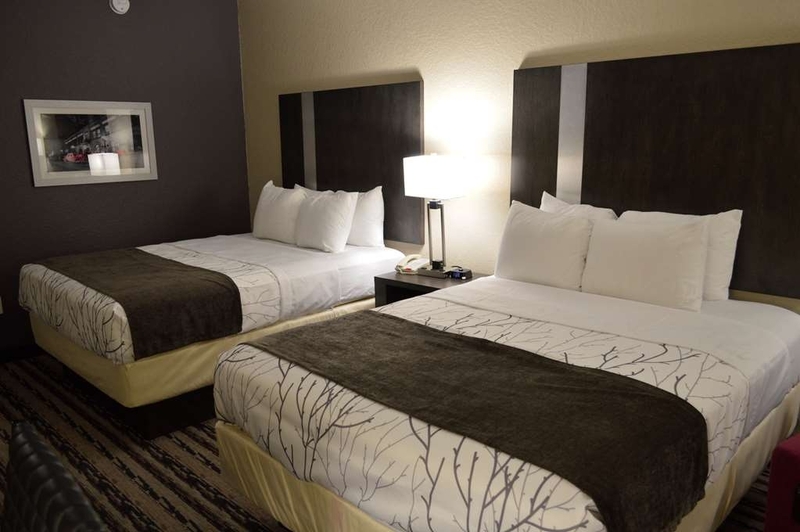 "Very Clean with Friendly Staff"
Our visit at the Boerne Best Western was top shelf. Room was clean and quiet. The bed was very comfortable. I'm not sure what their secret is, but the breakfast was beyond good!! Hotel was very clean and the staff was friendly. I am the producer for the Daytripper on PBS and we stayed here when we were filming our Boerne episode. They recently had a renovation and it looks great. The lobby, the rooms and amenities were wonderful. Rooms were clean and in great order. 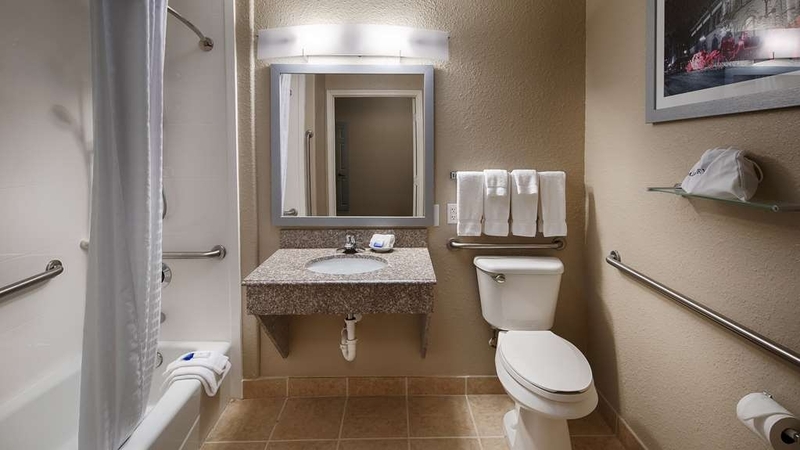 "Best Western Inn, Boerne Tx." Lovely hotel that has been renovated within this year. Rooms spacious and comfortable. We usually stay at LaQuinta's because they take pets and we travel with two small dogs. BW Boerne accepts pets for a small fee. "Nice place to stay in Bourne"
We enjoyed our stay here. The room was nice and staff very friendly. The breakfast was nice. The only thing that could have been improved was the pressure in the shower and it could be hotter. It was an attractive hotel and convenient to get to. Good hot breakfast (way better than that nasty Holiday Inn Express crap). Comfortable bed and pillow. Quiet toilet. Quiet door. Very clean. Very nice staff. No faults I could find. Heading west on I-10, just pull off and turn in, then pull out and drive off. Great place to stay for the money! I will use BW every chance I get. 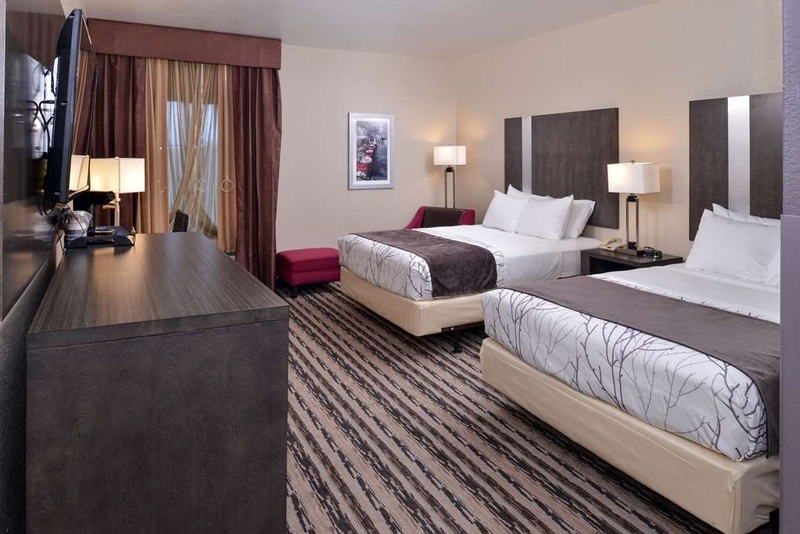 The staff is exceptional, the room was extremely comfortable and the amenities were second to none. I also liked the location which weas close to everything in the city. I recommend this hotel to everyone. "Nice clean and modern hotel"
We stayed here on our way to San Antonio from Dallas. It was very easy to find off the interstate and it looked very new and modern. The night clerk was so nice and friendly and even offered to come help us with our luggage. We were on the second floor and I was happy to see that they had an elevator. The room was very comfortable with two queen beds. It was very quiet and we had a great night's sleep. The breakfast area is very spacious with plenty of tables, and the breakfast was very good with the usual continental breakfast type offerings. I was very pleased with this hotel and would stay there again. 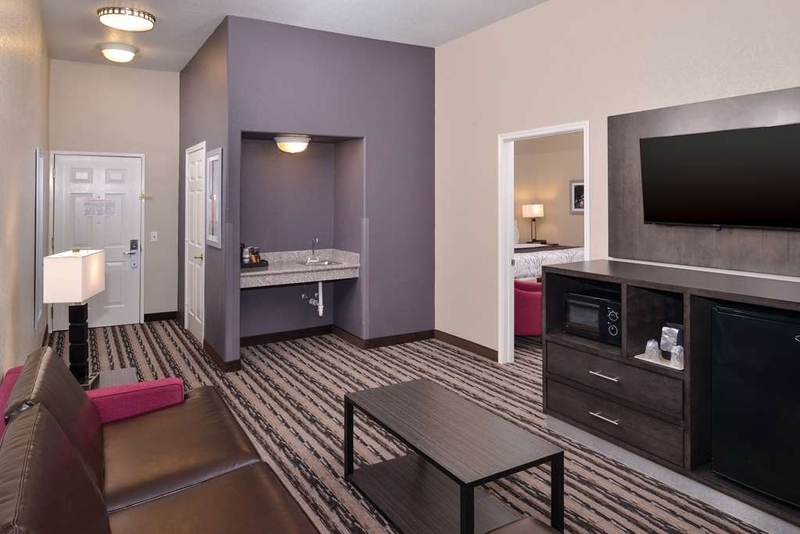 The Boerne location is a great place to stay for a re-charge mini vacation. It is very convenient to all places of interest in the area. The hotel has a good feel. We will definitely consider another visit. 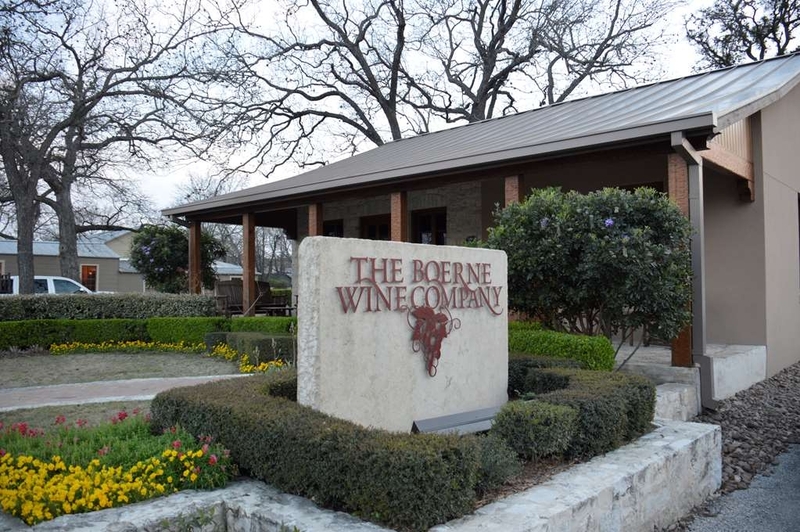 "Fabulous stay in Boerne BW!" I couldn't have asked for a better hotel experience. The staff were extremely friendly, helpful and professional. The complementary breakfast was tasty and healthy. The room was very clean and comfortable. Excellent workout room and really fabulous decor throughout the hotel. 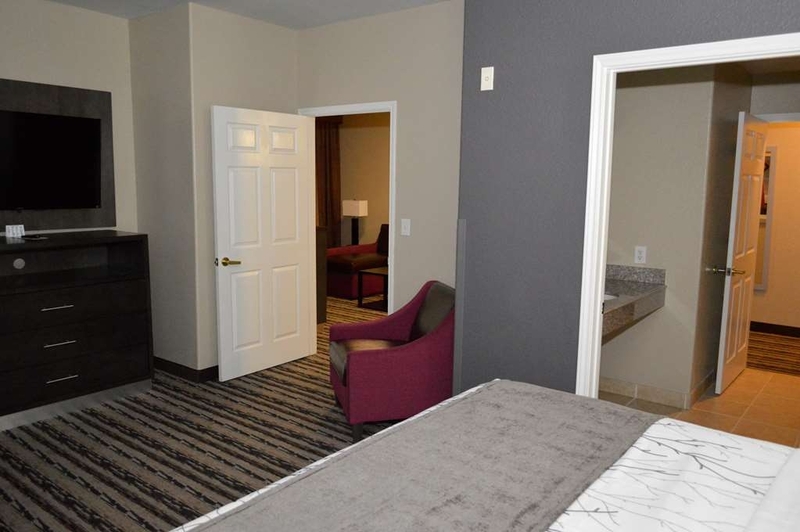 Rooms were spacious with a very nice layout and conveniences to make for a comfortable stay. Good internet connectivity and speed. Strategic location close to highway and downtown. Nothing found lacking. Everything was great and the location was perfect, the venue was the Springs and it was less than 10 miles from us right off of I10. The hotel let us check in early which was a great help since my husband was in the wedding! . The hotel was clean and the staff was very helpful! Excellent location for travelling on I-10. Superb service - check-in is smooth and the staff is extremely polite. Rooms and all facilities are extremely clean. The breakfast area is the best we've had for a long time. All in all, excellent price value ratio and would truly recommend for anybody - San Antonio downtown can be reached in 20 minutes or so. "This is the nicest place I have ever stayed"
The room was amazing. I loved the suite we were in. It was very clean and included a fridge and microwave. We had free wifi. The couches were so comfy that I am now looking for one for my house. I have never been to a nicer city with nicer people; and this hotel was the icing on the cake. Very good for price and location. We were there on business with family members due to wife's mother being in a nursing home in Boerne. 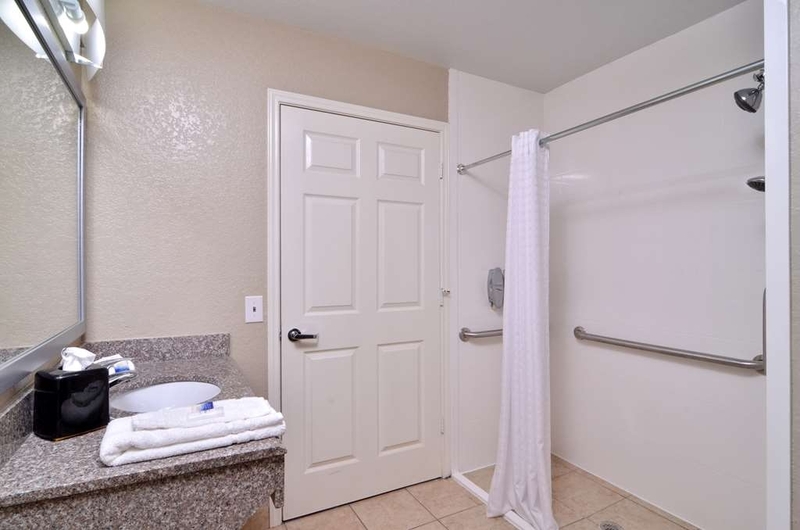 The location was close to Care Choice nursing home and very convenient to I-10. 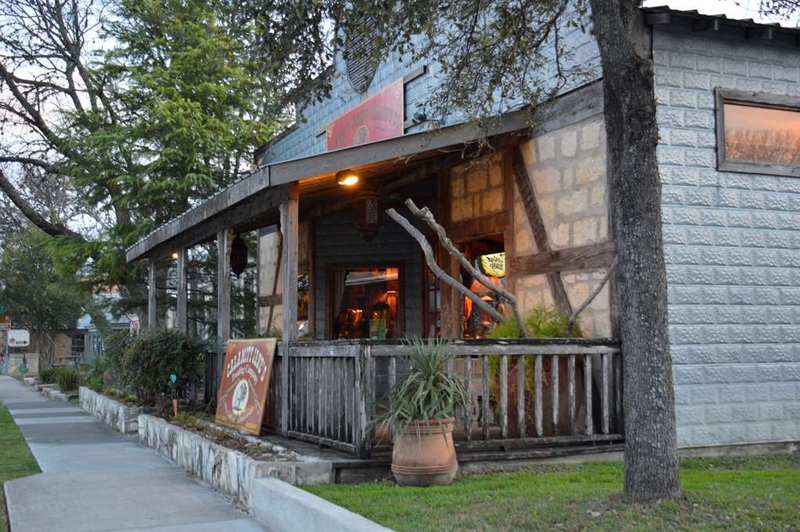 We felt safe and loved being near restaurants and with-in 2 miles of downtown Boerne. We will stay again as the need arises. We live in Ft. Worth,Texas and the trip takes us 5 hours. Me and my husband had a last minute trip to Boerne to visit a friend. The hotel was very nice and clean upon arrival. It is a little further out than we thought but it made for a nice quiet nice which was unexpected on fourth of July weekend. Breakfast was standard but good. Overall was a nice updated hotel for a nice quiet getaway. My family and I stayed there for our family vacation, we were very impressed with the rooms. At check in the front desk manager Maritza was very helpful and quick at checking us in to our room. When we arrived to the rooms we were so delighted to find the room so clean. ( WE ARE VERY PEEKY PPL) Breakfast was amazing with so much variety. We will be stopping by next family vacation. "Great place, great service, with a great staff"
The kids and I are here for a couple of days. We decided we'd review today. Thus far we have only thumbs up. Breakfast was delicious. The pool excellent and we really enjoyed the fitness room. The room was very comfortable. Will be letting all know if in the Boerne, TX. area book a stay here. "Great Hotel with even Better Staff"
The desk clerk was very helpful recommending local tourist attractions, and great dine in restaurants. The room was very spacious and clean. My children and I absolutely loved the location of the pool, which was shaded by the sun. The breakfast was filled with variety of fruits and cereals. For the price, the hotel could have provided a better quality of toilet paper. a hot tub would have been nice, I felt the price was still high for a hotel on the highway, nothing to do near by, but the bed and room was nice. Was very impressed with everything overall. Very clean rooms and beautiful pool. Staff were very friendly and helpful. Was convenient to golfing, shopping and restaurants Breakfast was excellent with many choices. We will stay there again when traveling to San Antonio area.. The staff was exceptional. Hotel has been recently renovated. It is beautiful and has modern furniture that is really nice. This is the best hotel I have ever stayed in. Had no problems at all. Rooms were so clean and neat. I would recommend staying here to anyone! Thank you for your fabulous hotel. 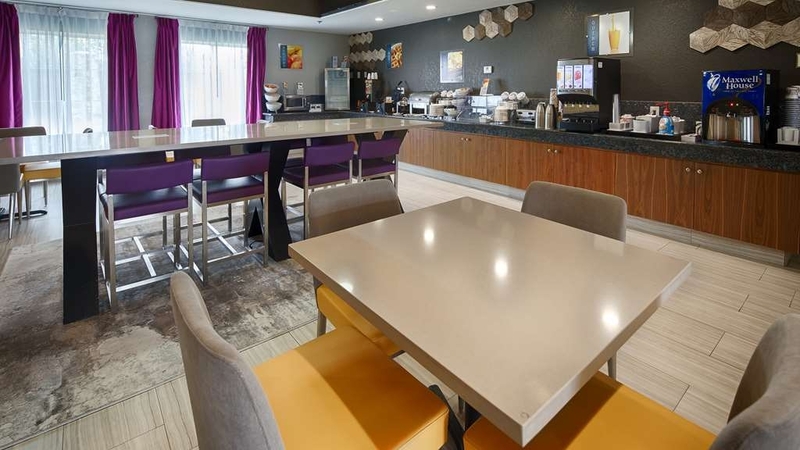 this best western is very fresh and clean hotel very convenient location for my trip.i love the room well decorated very comfortable bed clean bathroom great high speed internet the breakfast is great a lot of variety . Thank you for your review. Our staff appreciates you very much. 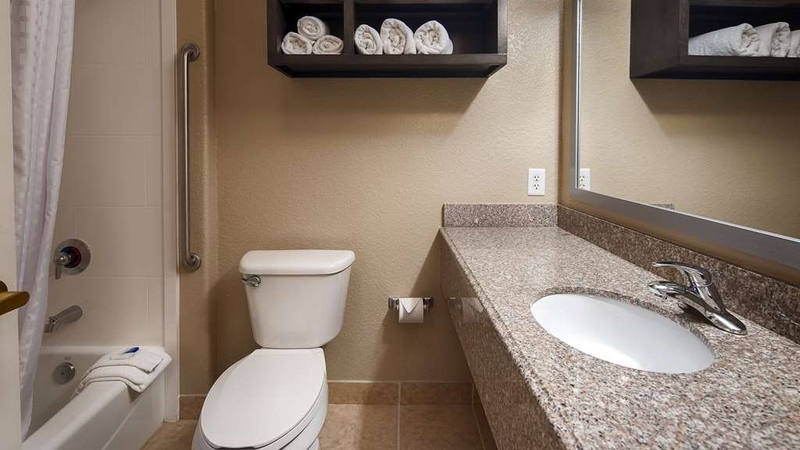 We hope to see you in your next trip to Boerne. "No Sleep Due to AC/Refrigerator Noise in Beautiful Room"
I will not recommend that you stay at this hotel right now until the managers upgrade the AC and refrigerators. If loud AC noises awake you and you desire a good night of sleep and rest, don't stay here right now. BW has put a lot of work into renovating this hotel, but I don't know why they are slow on upgrading the AC and refrigerators. Also, the key card has to be reactivated often. I found myself locked out of my room twice. It was a bit of a hindrance to have to catch up with someone to reactivate my key more than once. On night time staff member was very helpful and caring, but the morning staff was uncaring and disinterested. 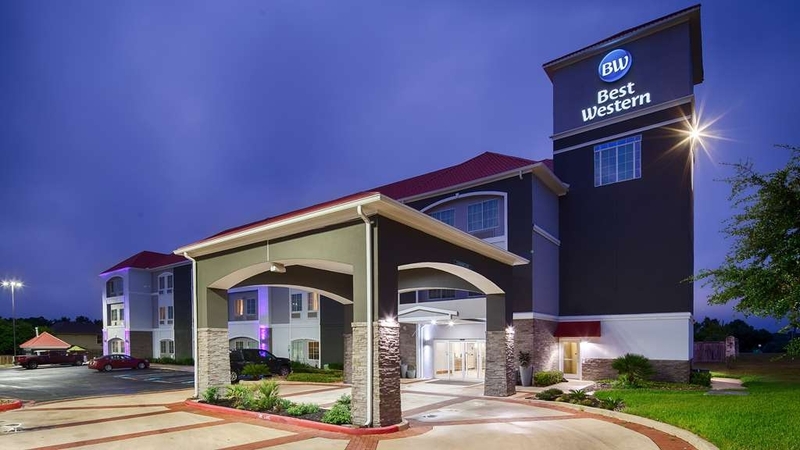 I stayed at Best Western in Boerne Texas and I was well satisfied. Hotel was clean, and the service was fantastic. It was recently remodeled and they did an amazing job. They have the best complimentary breakfast and tons of items to choose from. Will definitely be returning!! 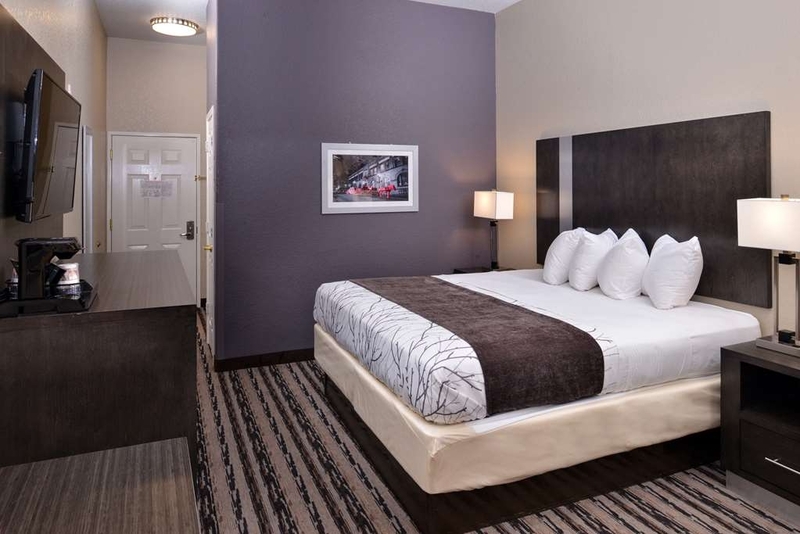 "Best Hotel in Boerne Texas"
It's a brand new hotel that's been remolded with new furniture. I was very impressed with the hotel and especially the amazing staff. So helpful and friendly and willing to go out of their way. I will definitely be staying there again and recommending it to everyone I know!! I love this new best western. It's new just opened in March. Very clean. Front desk clerk Maritza is very professional. Will definitely return to best western when we are back in town. Love the out door pool. They have new items in breakfast witch is nice compared to traditional breakfast. Brand-new beautiful hotel. I think we were the first visitors to our room. Might be a little hard to find without mapping devices if you're coming from the Texas wine country, but it's directly off one of I-10 exits for Boerne. I would stay there again in a heartbeat. The staff was friendly and helpful. Very clean. Plenty of easy parking. Standard breakfast fare. Thank you for your review regarding your recent stay at our property. Your business is very important to us and we value your feedback. We hope you will come back and see us again soon.If I can be of assistance in the future, please don't hesitate to contact me at 8302491212. "Great Location, Terrible Room Quality"
I chose this Best Western due to its proximity to a wedding venue that I was attending. I knew that it was Spring Break weekend and the rates were going to be higher, but for what I paid the quality of the room was terrible. I walked in and none of the wall light switches worked, there was a cleaning towel/rag left on the foot of my bed, curtains were missing from the window and the toilet ran every 10-15 minutes. Again I was really only in the room when I checked in at 4 and returned from the wedding which was around 11:30 that night and fell asleep as fast as I could. When I finally left the associate asked me how my stay was and I unfortunately did not tell her then how bad it was, I was just ready to get out of there and back on the road. I know this property is under renovations, but some of the basic things were not addressed from the start. I probably would wait on staying here until it is finished with their renovations. "Better as La Quinta than Best Western!" This is the second time staying here for us. The property has been going through a major overhaul and is almost complete. The rooms are nice and clean. Beds are comfortable, didn't care for the pillows but we aren't the "princess and the pea". Have not stayed at any other properties in Boerne so can't compare. The rate was $35 cheaper than a (LQ) few miles south at the Dominion. Worth a ten minute drive in my opinion. I have mentioned being a breakfast snob. Prefer egg whites which are not possible unless boiled eggs are available, they were not. Typical "free breakfast" for a hotel. The stay was fine, nothing special but we will likely stay again if the rate is better than neighboring properties. We were out for a weekend in the hill country of Texas and Boerne is a great place to stay for that. We chose the La Quinta because they are pet friendly and we take our dog with us everywhere. They are having problems with their TVs but other than that we were very pleased and would stay again if in Boerne. The staff was very friendly and helpful also. Currently remodeling but the carpet wasn't trimmed. Refrigerator made a loud noise. No extra linens for the pull out bed so daughter had to sleep on the couch. There was one extra pillow but no pillow case, so could not use. Bathroom had huge nail holes still in the wall. But the biggest complaint was the tub didn't drain. I hate that!!! Nasty. Very unprofessional remodel. Not impressed.